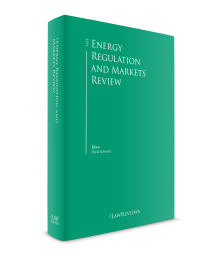 In recent years, following the publication of European Union directives for the implementation of the electricity2 and natural gas3 internal markets, the legislation and regulation of the energy sector in Portugal have undergone significant changes. From production to supply, both in the electricity and the natural gas industries, all activities must be developed by legally separate entities, except for some specific cases. The liberalisation of these sectors in mainland Portugal has almost been concluded, and with the abolition of end-user energy supply tariffs due to happen on 31 December 2020, all consumers will shift to the liberalised markets. Currently, the Portuguese government's policy for the energy sector is set out in the National Plan of Action for Energy Efficiency 2013–2016 (PNAEE 2016) and in the National Plan of Action for Renewable Energies 2013–2020 (PNAER 2020), both approved by Ministers' Council Resolution No. 20/2013 of 10 April. The PNAEE 2016 and PNAER 2020 are intended to be tools for a better energy strategy by establishing the means of achieving international goals and commitments5 assumed by Portugal in matters of energy efficiency and the use of renewable resources, without losing sight of economic rationale and the need to ensure adequate levels of energy prices, which do not prejudice the competitiveness of Portuguese companies or the minimum living standards of the general population. maintaining the reinforcement to diversify primary energy sources, revaluating the investments made in renewable technologies and presenting a new remuneration model for more efficient and prominent technologies. to improve economic competitiveness by reducing consumption and costs related to companies' functioning and household economy management, freeing resources to boost internal demand and new investments. The national regulatory authority of both the electricity and natural gas industries is ERSE, a public entity with administrative and financial independence. ERSE's by-laws were enacted by Decree-Law No. 97/2002 of 12 April, and recently amended by Decree-Law No. 212/2012 of September 2012. ERSE is in charge of regulation, supervision and sanctioning in the aforementioned sectors, from generation to supply. Recently, Law No. 9/2013, which came into force on 28 January 2013, established the Energy Sector Sanctioning Regime, which substantially reinforced ERSE's sanctioning competence and powers. Later, Decree-Law No. 84/2013 of 25 June revised ERSE's by-laws, completing the implementation of Directives 2009/72/EC and 2009/73/EC. Alongside ERSE, the General Directorate of Energy and Geology (DGEG), a state-administered entity with financial independence, has the task of implementing and developing the state's policies regarding energy matters and the exploitation of geological resources. As such, and in most cases, the DGEG is the competent entity for granting licences and other administrative authorisations concerning energy-related activities, such as generation or exploration licences. In summary, while ERSE is the independent national regulatory authority for electricity and natural gas, the DGEG is the body that represents the state on energy matters, also being competent to grant licences and receive the corresponding applications or requests. regulate and supervise the activities during the execution of contracts, ensuring that legal provisions and regulations are followed, including those related to health, safety and environmental protection. receive complaints concerning activities in the liquefied petroleum gas value chain. ENMC also has powers concerning the regulation of biofuels and the constitution and maintenance of oil reserves. However, the Portuguese state budget for 2017 anticipates the extinction of ENMC and foresees that ERSE shall become the competent entity to regulate the liquefied petroleum gas and fuel sectors. The legal termination of this entity has not, as of yet, occurred. The core legal framework for the electricity sector is composed of Decree-Laws No. 29/2006 of 15 February and No. 172/2006 of 23 August, and in the natural gas sector, by Decree-Laws No. 30/2006 of 15 February and No. 140/2006 of 26 July (which have all undergone significant changes in recent years). The main legal framework for the oil and gas upstream sector is Decree-Law No. 109/94 of 28 April, recently amended by Law No. 82/2017 of 18 August, providing for mandatory consultation of local governments prior to the surveying and exploration of hydrocarbons and, for the downstream sector, Decree-Law No. 31/2006 of 15 February, recently amended by Decree-Law No. 244/2015 of 19 October. Regulations put into force by ERSE, such as the Commercial Relations Regulation, the Tariffs Regulation, the Quality Standards of Service Regulation and the Infrastructures Operation Regulation,6 and those put into force by the DGEG, such as the Transmission Network Regulation and the Distribution Network Regulation constitute other significant sources of law governing these industries. These Regulations have been recently amended by ERSE (on December 2017). In the electricity industry, transmission and distribution are activities that are subject to administrative authorisations. The operation and exploration of the national transmission and distribution networks are awarded by means of concession agreements entered into with the Portuguese state, granting the concessionaires the exclusive right to explore the networks within a determined geographical area, for periods of 50 or 35 years. Besides the national distribution network,7 there are also municipal distribution networks, mainly composed of low-voltage grids. The right to explore these networks is also granted through concession agreements, but these are awarded by the respective municipalities and are valid for a period of 20 years. In the natural gas industry, the exploration and production, transmission, distribution and operation of LNG terminals and of LNG storage facilities are also regulated, subject to administrative authorisations. The operation of the national transmission and distribution networks, of LNG terminals and LNG storage facilities is also granted by means of concession agreements, offering the exclusive right to develop these activities for 40 years within a certain geographical area. Additionally, there are some local natural gas distribution networks with no physical connection to the national distribution network, which may be operated by obtaining a licence, valid for a period of 20 years. The request for its attribution should be directed to the Minister of the Economy and Employment and delivered to the DGEG's office. The right for prospection, exploration, development and production of oil is granted by the Minister of the Economy and Employment through a concession agreement. Regarding remuneration, aside from production, income and real estate taxes, and some sporadic fees, there is no legal obligation for production sharing, the concessionaire is exempted from paying royalties, and it is free to sell the oil, except in the event of war or public emergency. The concessionaire is also entitled to freely dispose of all findings of natural gas, being exempt from any production taxation. The concession agreements for the aforementioned activities are granted by means of a public procurement process. Lastly, licensing for oil downstream activities is not required (other than licensing for the facilities where the activities are being carried out). Electricity generation is a free activity, being subject only to obtaining a generation licence. The licensing entity may vary upon the generation technology or geographical location where the generation plant is to be installed. Prior to entry into industrial exploration, the generation groups of the facility must also obtain an exploration licence, granted after an inspection that ensures they meet all technical and safety conditions to start operating. Generation licences do not have a term, unless the power is generated using public domain water resources, or the generation plant is installed in maritime space that is under sovereign or national jurisdiction, in which case the term of the generation licence will be that of the licence or concession agreement that confers the right to use public domain resources. The transmission network operators (TNOs) of the electricity and natural gas sectors are subject to a full ownership unbundling regime. Under this regime, no entity may hold an equity participation greater than 25 per cent of the share capital of the TNO. Also, the TNO or the companies that control it8 may not, directly or indirectly, exercise control or any rights over companies dedicated to generation or supply of electricity or natural gas. Equally, companies dedicated to generation or supply of electricity or natural gas or companies that control such, directly or indirectly, cannot exercise control or any rights over the TNO. Subject to certain exceptions that relate to the historical role of the electricity TNO, the TNO is also strictly forbidden from acquiring electricity or natural gas for selling purposes. In the downstream oil sector, entities that carry out storage and pipeline transport of petroleum or petroleum products must be legally independent from entities that conduct refining, distribution by pipeline or supply of petroleum or petroleum products. The transfer or encumbrance of any assets related to activities granted through concession agreements must obtain prior authorisation from the competent Ministry. Concentration operations that meet some predetermined conditions must be notified to the Portuguese Competition Authority and are subject to its prior approval. After being notified, the decision should be issued within 30 or 90 days, depending on whether or not a detailed investigation of the concentration operation is required. Lastly, changes to the control of assets considered to be 'strategic' (which include electricity and gas transmission and distribution assets) are subject to non-opposition of the Portuguese government, if the acquirer is an entity based outside of the European Economic Area. Currently, the operation and exploration of the national transmission network of electricity and natural gas is carried out in accordance with the full ownership unbundling regime. This means that the company that operates the national transmission network may not integrate any group of companies dedicated to the generation, distribution or supply of electricity or distribution or supply of natural gas. In 2012, in line with the latest European directives, the Portuguese legal framework for the electricity and natural gas sectors allows transmission activity to be developed by a vertically integrated company. In this case, however, the transmission system operator must be a legal entity separate from the rest of the companies, forming an independent transmission operator (ITO). The ITO must observe strict independence obligations and comply with several independence criteria to avoid falling foul of discriminatory behaviours, namely those set out in Article 9 of Directives 2009/72/EC and 2009/73/EC. Compliance with such obligations and independence criteria is assured by means of a certification process, monitored by ERSE and the European Commission, and that the ITO must fulfil to develop transmission activity. The distribution of electricity and natural gas is subject to a legal unbundling regime. This means that operators of distribution networks must be independent from a legal, organisational and decision-making process standpoint from other activities unrelated to distribution. Distribution companies that serve fewer than 100,000 clients are not subject to the legal unbundling regime, but they must still implement accounting and functioning unbundling measures. Supply activities are also subject to the unbundling regime, implying that they must be legally separate from other activities. The last-resort supplier is also bound by this unbundling regime, even in relation to common suppliers. The operation of LNG terminals and storage facilities is also subject to the legal unbundling regime. To a lesser extent unbundling requirements also exist in the downstream oil sector (see Section II.iii, above). To ensure equal market conditions for all market participants, the concessionaires of transmission and distribution activities in electricity and natural gas must comply with specific public service obligations: to guarantee equal access conditions to all markets participants and to abstain from adopting any discriminatory behaviour or practices. Where facilities for transport by pipeline and storage of petroleum or petroleum products are declared as being in the public interest, holders of such facilities are also obliged to act in a non-discriminatory manner. The ensuring of equal conditions to all market players for the access and use of infrastructure is intended to create effective market conditions, promoting competition and thus enhancing consumers' experience in these markets. The access and use of LNG terminals and storage facilities is also regulated, under the same terms as for distribution networks. Rates are determined by ERSE according to the Tariffs Regulation, and all users must benefit from equal commercial conditions. The only exception is for storage facilities. Part of the storage capacity is operated under regulated conditions by REN Armazenagem SA, with rates determined by ERSE. The other part of the storage capacity is operated by Galp Energia SA and access to these facilities can be made under a negotiated access regime, with leeway to negotiate access and use terms. The rates of services rendered by the LNG terminal (reception and unloading of natural gas, liquefaction, storage and loading) are regulated, being established by ERSE according to the terms of the Tariffs Regulation. Rates for the transmission and distribution of electricity and natural gas are determined by ERSE according to the respective Tariffs Regulation. ERSE also determines the matters that must necessarily be included in the network use agreement, such as duration, interruption of service conditions, payment methods and terms of resolution, which vary depending on the contracting parties (generators, suppliers, network operators or consumers). The general terms of the network use agreement are submitted to ERSE for prior approval. The Portuguese tariff system is constructed in such a way that for each regulated activity there is an associated regulated tariff, and the tariff applicable to each client is made up of the total of the various activity tariffs. Tariffs for the use of regulated infrastructures are based upon the provider's cost plus a reasonable rate of return, which will determine the operator's allowed revenue. The reasonable rate of return is also established by ERSE for a certain period. The allowed revenue and the provider's cost for the activity of transmission and distribution of electricity is determined in accordance with the Electricity Tariffs Regulation. The formula used to calculate the allowed revenue of the transmission network operator includes the application of efficiency factors to the provider's costs, to reward efficient spending and investments, along with incentives for the maintenance and operation of equipment that is at the end of its life. In the transmission and distribution of natural gas, the formulae used to determine the allowed revenue of the service provider are set out in the Natural Gas Tariffs Regulation. Although these are not specifically determined in this regulation, it is established therein that the cost of the TNO's activity will be subject to efficiency incentives to be determined by ERSE. The concessionaires of electricity and natural gas transmission activities are also in charge of managing and monitoring the National Electric System (NES) and the National Natural Gas System (NNGS). coordinating with all other networks and infrastructure operators, generations units and suppliers. The Iberian Electricity Market (MIBEL), a regional, organised electricity market was put in place by Portugal and Spain in July 2007. One important aspect of MIBEL's functioning is the principle of reciprocal recognition of agents. Under this principle, if an agent is granted the status of producer or supplier by one country, this implies automatic recognition by the other country, granting equal rights and obligations to that agent. 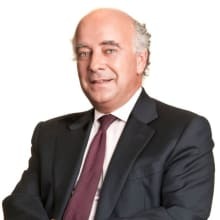 The management of the Iberian spot electricity market is the responsibility of OMEL, the Spanish division of the Iberian Energy Market Operator. In the spot electricity market, transactions are executed by the participation of agents on the daily and intraday market that aggregate the Spanish and Portuguese zones of MIBEL. Trading on the daily market is based on a daily auction, with settlement of energy at every hour of the following day. There are various intraday sessions subsequent to the daily market auction in which agents can trade electric power for the various hours of the day covered by that market. Trading is also done by auction. The financial settlement of the transactions occurs weekly, and guarantees must be deposited. Producers, self-producers, external agents (non-resident entities), suppliers, representatives and qualified consumers can be spot market agents. OMIP is the operator of the Portuguese division of MIBEL and is responsible for the management of the derivatives trading market. OMIP holds a 100 per cent stake in OMIClear, which has the role of clearing house and central counterparty in all operations executed on the market managed by OMIP, also being able to clear trades on the over-the-counter market or even other markets that have, as underlying assets, energy-based products. On the OMIP trading platform, all elements of the futures contracts are standardised (e.g., volume, underlying asset and minimum price variation). Therefore, when an agent opens a position, it need only choose the contract it will trade, the relevant quantity and the price (except if it is a market offer). A key characteristic of these contracts is that they are marked to market on a daily basis. The operations carried out on OMIP are registered in trading accounts and simultaneously registered in clearing accounts through which the financial settlement of the contracts is assured. The recently implemented Iberian natural gas market, MIBGAS, held its first trading session in December 2015. MIBGAS is managed by MIBGAS, SA and offers its users the possibility of trading within-day, day-ahead, balance of month and month-ahead products at an Iberian level. The legal framework for the organisation of MIBEL is based on the MIBEL Agreement,11 signed on 1 October 2004. It establishes the general principles for the organisation and management of MIBEL and, in particular, the framework for the organisation of the spot market and the derivatives market. The derivatives market is under the direct supervision and regulation of the CMVM, in coordination with ERSE. 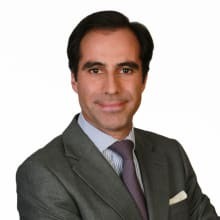 Notwithstanding the powers granted to the Portuguese authorities, the regulation and supervision of the derivatives market is carried out in conjunction with the equivalent Spanish authorities, the National Energy Commission and the National Securities Market Commission. In addition, regulation of MIBEL takes place through market rules developed by the market operators, OMIE and OMIP, which have the duty of developing and jointly applying all the market rules. MIBGAS and trading conducting therein, on the other hand, are governed solely by Spanish law. Any entity (producers, suppliers, consumers or other agents from the organised market) registered as a market agent may enter into a bilateral agreement, either for electricity or natural gas. With respect to the legal and regulatory applicable provisions, the terms of such contracts are dependent upon each market agent's agreement. The market agents must notify the transmission network operator (as global system manager) of the completion of such an agreement and indicate the term for which it is executed. The process of phasing out of end-user regulated electricity and natural gas tariffs is currently under way. Decree-Law No. 75/2012 of 26 March approved the timetable for the gradual phasing out of such tariffs for normal low-voltage electricity consumers, and Decree-Law No. 74/2012 of 26 March also established that for natural gas for either 31 December 2014 or December 2015 (depending on the contracted power or annual gas consumption). After several extensions, Decree-Law No. 15/2015 of 30 January, and Order No. 97/2015 of 30 March, further pushed back the expiration date for the end of all regulated tariffs to 31 December 2017. Pursuant to the enactment of recent legislative instruments, the predicted date for the end of all regulated tariffs was once again delayed, this time to 31 December 2020. During this period, transitory tariffs with a gradually increasing premium component will apply and also be updated quarterly by ERSE. In the energy supply sector, it is worth noting the set-up of the Logistics Operator for Supplier Switching, created to facilitate electricity and natural gas 'switching' procedures for consumers and businesses. In February 2013, the Council of Ministers approved the National Action Plan for Energy Efficiency for the period 2013–2016 (PNAEE) and the National Action Plan for Renewable Energy for the period 2013–2020 (PNAER). The main objective of the PNAEE is to envisage new actions and targets for 2016, integrating the concerns regarding the reduction of primary energy for 2020 contained in the EU policy on energy efficiency. The PNAEE is currently under review and a draft for the Energy Efficiency Action Plan for the period 2017–2020 has been prepared and submitted to the European Commission (pursuant to the obligations set out under the Energy Efficiency Directive).12 Notwithstanding, such new action plan has not been formally approved by the Council of Ministers. The PNAER was also defined in light of the current situation (oversupply of electricity generation due to lower demand) with a view to adapting and mitigating costs. The plan continues to focus on renewable energy sources – very relevant in the promotion of a balanced energy mix – to enhance security of supply and reduce the risk of the price variability of certain commodities and its corresponding implications for the national energy bill. With the purpose of reducing energy imports and dependence, and following the enactment of several European directives, Portugal has introduced guaranteed remuneration schemes for renewable electricity generators (i.e., a 'feed-in tariff ' system), prompting the development of wind and solar generation, as well as cogeneration, in the country. Nevertheless, in the wake of the financial assistance programme (a memorandum of understanding underwritten by the Portuguese government, the European Union, the International Monetary Fund and the European Central Bank), which ended in 2014, legislative measures seeking to curb guaranteed remuneration were procured, although precautions were taken to avoid impacting significantly on existing feed-in tariffs and undermining the legitimate expectations of the private parties in the market (and including changes that have been negotiated with participants in the renewables sector). While Decree-Law No. 35/2013 of 28 February reduced the term during which special-regime generators have the right to receive the corresponding feed-in-tariff, the Decree also established the possibility of special-regime generators (except for small hydropower plants) adhering to certain alternative remuneration mechanisms; in general, these allow for an extension of the period during which the special-regime generators receive a special tariff or guaranteed remuneration. Successive amendments to Decree-Law No. 23/2010 of 25 March (the most recent of which was executed by Decree-Law No. 68/2015 of 30 April), and related regulation thereof, have reduced feed-in-tariffs and the cap on installed capacity (reduced from 100MW to 20MW of installed capacity) for eligibility to benefit from cogeneration feed-in tariffs. In relation to micro generation of electricity, Decree-law No. 153/2014 has also reduced the guaranteed remuneration for small generation power plants while allowing for self-consumption electricity generation and facilitating the licensing or registration of both. Pursuant to a recent Ministerial Order (268-B/2016 of the Secretary of State for Energy affairs, enacted on 13 October 2016), it was determined that public funds granted to existing renewable energy projects with guaranteed remuneration (such as EU funds) shall be offset against future feed-in tariff payments. This measure has yet to be implemented by the government. In 2008, the government introduced the PNAEE, a plan of action that establishes the main policies and energy-efficiency measures to be developed to achieve a target of a 10 per cent reduction in the country's energy consumption. Recently, the PNAEE was revised and the government set new goals to be achieved in matters of energy efficiency until 2016.13 As mentioned above, the PNAEE is currently under review. After the establishment of the PNAEE, the Energy Efficiency Fund was created,14 which finances the programmes and measures provided for in the plan. In 2011, the government, by Decree-Law No. 29/2011 of 28 February, created a specific public tender procedure to expedite and facilitate the formation and execution of energy efficiency contracts, to be entered into by the public administration and private companies to implement measures improving energy efficiency in public buildings. ERSE has tried to ensure that regulation of the sector galvanises actions that contribute to the promotion of energy efficiency. In the Tariffs Regulation for the electricity sector, a competitive mechanism called the Consumption Efficiency Promotion Plan (PPEC) has been established to promote measures for managing demand. In the electricity PPEC, incentives are awarded for the promotion of measures aimed at improving efficiency in electricity consumption through measures taken by suppliers, network operators and organisations that promote and protect the interests of electricity consumers in mainland Portugal and in the autonomous regions, and that are aimed at consumers in different market segments. The actions result from specific measures proposed, subject to a selection process, whose criteria are defined in the Rules for the Consumption Efficiency Promotion Plan. This process allows the selection of the most promising measures for energy efficiency to be implemented by the aforementioned promoters, taking into account the amount available in the PPEC annual budget, which is approved at the start of each regulation period for each one of its years. Decree-Law No. 38/2013 of 15 March transposed into national law a set of provisions relating to the greenhouse gas emission allowance trading scheme, namely Directive 2009/29/EC of the European Parliament and of Council of 23 April 2009. In particular, this Decree states that from 2013 onwards the emission allowances that are not allocated free of charge shall be auctioned and the revenues from the auctions shall be applied in measures that contribute to the development of a competitive low-carbon economy (this mechanism is currently regulated by Order No. 3-A/2014). It is also established that the amounts to be transferred to the SEN should be used to offset the extra costs incurred with respect to the purchase of electricity from special-regime generators. Driven by the growing dependence on oil for energy and by the environmental impact of the use of fossil fuels, Portugal is investing in new energy models for mobility that aim to improve quality of life and reduce pollution. This has led to the creation of the Electric Mobility Network, an integrated network linking 1,300 charging stations in Portugal, managed by MOBI.E, which will enable electric vehicles to recharge, using a charge card. Technological advances, the lowering of the cost for solar panels and new energy efficiency rules are also disseminating the use of auto-consumption schemes in several households. On other developments, smart meters (which enable remote readings of electricity consumption), after successful pilot projects, are now being rolled-out in the entire country by the distribution system operator. In 2017 the Portuguese economy enjoyed a strong rebound. Electricity demand is increasing and so is the number of 'greenfield' renewable energy projects seeking to add capacity to the grid, even without guaranteed remuneration schemes. Concretely, several solar power plants with no support schemes are now being developed or constructed and it is envisaged that the electricity generated will be sold in wholesale markets or through bilateral power purchase agreements. Also as a result, transactional activity in the energy sector was buoyant, with high-profile deals being struck by industrial players and institutional investors alike. Notable transactions include the divestiture of gas distribution assets in Northern Portugal by EDP and the acquisition of minority and majority participations in several wind farm portfolios. In 2013, the Portuguese government implemented the 'extraordinary energy-sector contribution', the revenues from which were intended, primarily, to reduce the tariff deficits being generated in the electricity sector. Following this extraordinary contribution, which continued into 2015 and 2016, the government set up the Fund for the Systemic Sustainability of the Energy Sector, with the goal of creating of policies of a social and environmental nature related to energy-efficiency measures and the reduction of the tariff deficit in the energy sector, and funded in part from the revenues obtained through the special contribution. The Portuguese state budget for 2018 establishes the extension of this extraordinary contribution into 2018. The successive extensions of this extraordinary contribution have resulted in litigation cases, currently pending in the Portuguese courts. The Portuguese power market is currently a mature market with a generation mix in which green energies have a significant weight, both in terms of installed capacity and power output. The natural gas market has room for expansion considering that there are still interior regions that do not have distribution networks. However, tepid economic growth and the need to keep grid tariffs low means that 'connections' growth in this sector will remain slow in Portugal. The main challenges in the energy market in Portugal relate to the completion of the liberalisation of the electricity and natural gas industries. Although market efficiency is expected to increase and competition within the market should benefit end users, the full effects of liberalisation are not yet certain. In what concerns future developments, the European 'Clean Energy Package', yet to be rolled out, is expected to have a relevant impact (also in Portugal) on energy efficiency measures, the financing and remuneration of renewable energy projects and energy consumer empowerment. 1 Nuno Galvão Teles and Ricardo Andrade Amaro are partners at Morais Leitão, Galvão Teles, Soares da Silva & Associados, Sociedade de Advogados, SP, RL. 2 Directives No. 96/92/EC, 2003/54/EC and 2009/72/EC of the European Parliament and of the Council. 3 Directives No. 98/30/EC, 2003/55/EC and 2009/73/EC of the European Parliament and of the Council. 4 Taking into account their geographical limitations, electricity and natural gas activities on the archipelagoes of Azores and Madeira continue to be developed by vertically integrated companies, and therefore the considerations that follow refer mainly to mainland Portugal. 5 In the context of the European '20-20-20' measures, Portugal committed to achieve an overall reduction of primary energy consumption of 25 per cent and to have 31 per cent of its gross final energy consumption fuelled by renewable sources. 6 All available at www.erse.pt/pt. 7 Which, in general terms, refers to high- and medium-voltage grids. 8 The definition of 'control' refers to the definition provided for in Council Regulation (EC) No. 139/2004 of 20 January 2004, regarding the control of concentrations between undertakings (the EC Merger Regulation). 9 Both companies are wholly-owned by REN Redes Energéticas Nacionais SGPS, SA, a listed company. 11 The Agreement between the Portuguese Republic and the Kingdom of Spain relative to the constitution of an Iberian Electrical Energy Market. 12 Directive 2012/27/EU of the European Parliament and of the Council of 25 October 2012 on energy efficiency. 13 Council of Ministers Resolution No. 20/2013 of 10 April. 14 More information about energy efficiency in Portugal can be found at: www.portal-eficienciaenergetica.com.pt/nacional.html; www.adene.pt/eficiencia-energetica; and www.erse.pt/pt/planodepromocaodaeficiencianoconsumoppec/Paginas/default.aspx. 15 More details at www.mobie.pt/en/mobilidade-electrica.